He played for Brazil’s victorious World Cup winning teams of 1958 and 1970, scoring in both finals, and was in the squad which won in 1962. With club side Santos he twice won the Copa Libertadores and Intercontinental Cup. Later in his career he went on to become the face of “soccer” in the US, as the NASL looked for a sporting breakthrough in the mid-1970s. 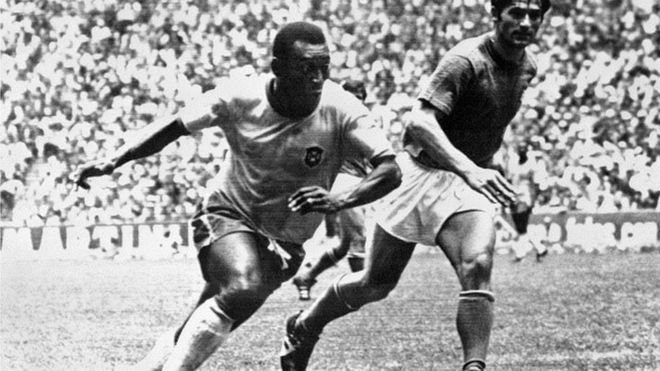 It is alleged that Samsung ran the advertisement after breaking off negotiations in 2013 to use Pele’s image to promote its goods. 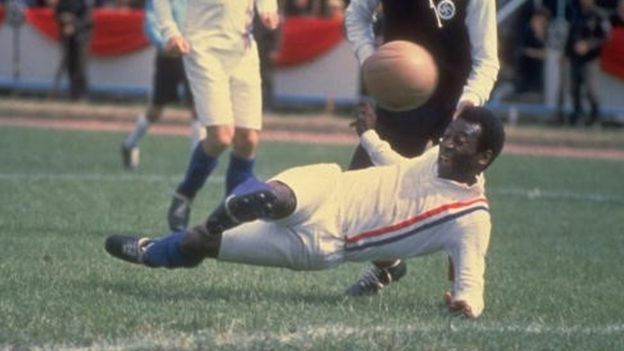 According to the complaint, which does not name Pele, the ad includes a facial photo of a man who “very closely resembles” him, and also a small picture of a footballer making a “modified bicycle or scissors-kick, perfected and famously used by Pele”. Pele’s lawyer Frederick Sperling has also represented former Chicago Bulls basketball star Michael Jordan. He helped him win a case against the former Dominick’s Finer Foods over an unauthorised use of his identity in an advertisement in Sports Illustrated magazine.